Sun, sand and a stress-free vibe. 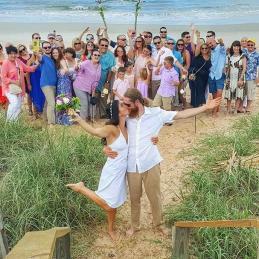 It’s no wonder Palm Coast and the Flagler Beaches is a favorite location for a destination wedding among engaged couples. If you’re stressed about planning some of the major components for your wedding—venue, photographer, cake and flowers—don’t. This guide was created to ensure your wedding at the beach is a breeze. Read on to find the best picks to help you create the picture-perfect day. Always dreamed of having a fairy-tale wedding with white chiffon, rose petals scattered down an aisle, breathtaking views of the ocean, world-class cuisine and luxury accommodations? Then this location is just for you. 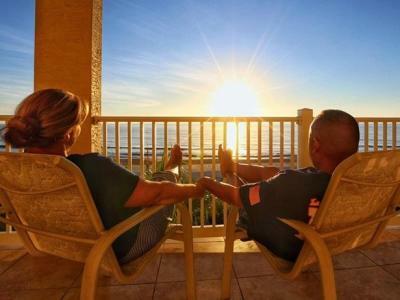 No matter your style, Hammock Beach Resort will ensure that your dream becomes a reality. 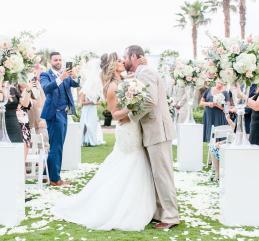 Choose from special spots across the property—which can accommodate up to 500 guests—including the lodge lawn, the pool deck and the tent; The Grand Event Lawn, the Champions Event Lawn and the Ocean Event Lawn are also locations you can say “I do” at the resort. Nestled between the ocean and Intracoastal Waterway on 1.5 acres, Si Como No Inn offers a simple and cheaper option if you want a more natural and low-key wedding. Family owned and operated, the inn was built in 1947 and was vacant for years. It was purchased and restored in 2000 and continues to earn the Trip Advisors Certificate of Excellence award. Your guests will love staying in one of the eight charming cottage-style rooms that provide an escape from the hustle and bustle of the real world. What makes this spot so romantic is that you can say your vows directly on the beach. After the ceremony, stroll over to the Tiki Hut at the inn for the reception. If you’re a Flipper fan, this place is for you. 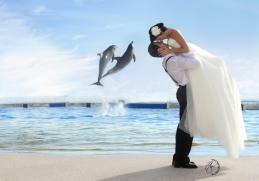 Marineland has three dolphin-focused wedding packages that accommodate small-to-large weddings and receptions. This spot provides you with the opportunity to say your vows while dolphins swim in the background. Also included in the packages are ceremony/reception components, including tents, a sound system, tables, and lounges for the bridal party and groomsman. If the name of your wedding game is rustic charm, Florida Agricultural Museum is just the place for your ceremony. You’ll love touches like hayrides to the wedding site and a scenic lake as the backdrop for your vows. 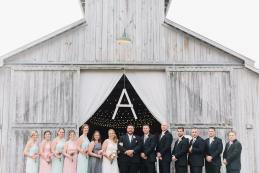 Then, you can party it up in the venue’s covered reception space, which is an open-air 5,000-sq.-ft. barn that you can transform into any style you’d like. The venue is suitable for 170 guests and has plenty of space for dancing. Classic. Joyful. Romantic. 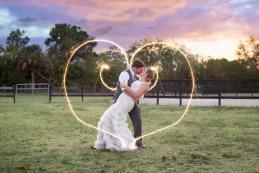 These are just a few of the words Sara uses to describe her wedding photography. An Ohio native who grew roots in Florida, she and her husband, Chris, run the business together. Her favorite part of the wedding day is when the groom sees his bride for the first time, and she can’t wait to capture this precious moment for you. Looking for a wedding photographer that snaps images that are colorful and dote on the details of your ceremony (think bridal bouquets and beautiful rings)? Native Expressions is here to tell the story of your special day. These photographers will capture every special moment—from getting ready to the glowing reception exit. Every precious memory will be captured on film so you can relive the special day for years to come. 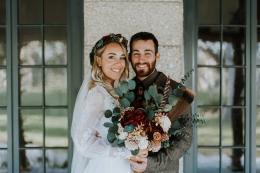 Winner of The Knot’s 2018 Best of Weddings, Stacy and Megan only select 24 weddings to photograph in a year, which is why you want to reserve a spot with them ASAP. These ladies will feel more like friends than strangers as they capture every moment of your big day. Plus, every image is hand edited, so no filters, presets, outsourcing or batch editing on your photos. Let’s face it. You deserve the best cake on your wedding day, so why not have it homemade? 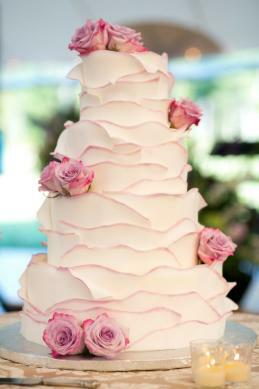 With 35 years of experience in cake decorating under her belt, Leonor will ensure you have the cake of your dreams. As a certified baker, Leonor only believes in the best ingredients to tempt your taste buds. From the Black Ribbon cake to the Bling Bling cake, there’s something for every bride at this bakery. If you’d take a doughnut over a piece of cake any day, Swillerbees offers the perfect wedding dessert for you. Celebrate your day with a batch of champagne glazed donuts or try other popular flavors like crème brûlée or piña colada. And if you’re worried about getting those sweet treats to the big event, relax. Swillerbees delivers! Flowers are an integral part of any wedding day, and Blooming Flowers & Gifts is here to provide you with the biggest—and loveliest—bouquets. From bridal bouquets of white lilies to floral cake decorations and rose-filled reception centerpieces, this florist can create a breathtaking arrangement to fit any budget. Plus, the staff members are fluent in English, Polish, Portuguese and Spanish. 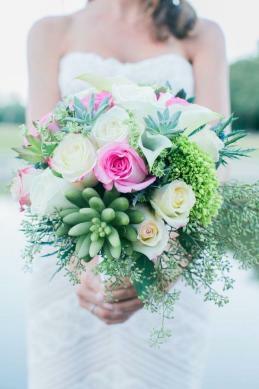 Every wedding is unique and special, which is why Art Among the Flowers offers a wide selection of beautiful blooms for the ceremony and reception—and everything in between. With creations like the Calla Lily Bridal Bouquet and party wreaths to surround punch bowls, you’ll find a personalized floral design that’s perfect for you.